The announcement of two extraordinary gifts is another step toward building Providence Care’s new long-term care home. The University Hospitals Kingston Foundation is grateful for Britton Smith’s gift of $5 million and the Sisters of Providence of St. Vincent de Paul’s gift of $4.5 million – both of which are significant gifts in support of the new home for Providence Manor. 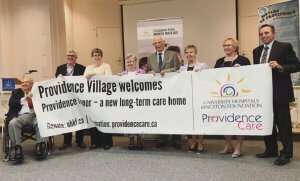 Planning is well underway to relocate Providence Care’s long-term care home, Providence Manor, to the new Providence Village. The new home will be developed on the park-like, historical Motherhouse site owned by the Sisters of Providence of St. Vincent de Paul. Providence Village will be a community within a community, offering health services, supportive housing, recreation and social services to Village residents, but linked to and benefiting the broader community. Providence Care is excited to be a part of the new Providence Village – a new development that honors the legacy of the Sisters of Providence of St. Vincent de Paul as a continuation of their Mission to care for the vulnerable. Providence Village will be a community hub bringing together a long-term care facility (Providence Manor), a residential hospice, community health and wellness services, and affordable housing. After pending government approvals and necessary planning work, the work to redevelop Providence Manor is expected to take place over the next two to six years and will result in a long-term care home that will serve the needs of our community well into the future. Over the past ten years, long-term care residents have become frailer with increasingly complex health needs. In our region, we continue to see a growing demand for long-term care beds. 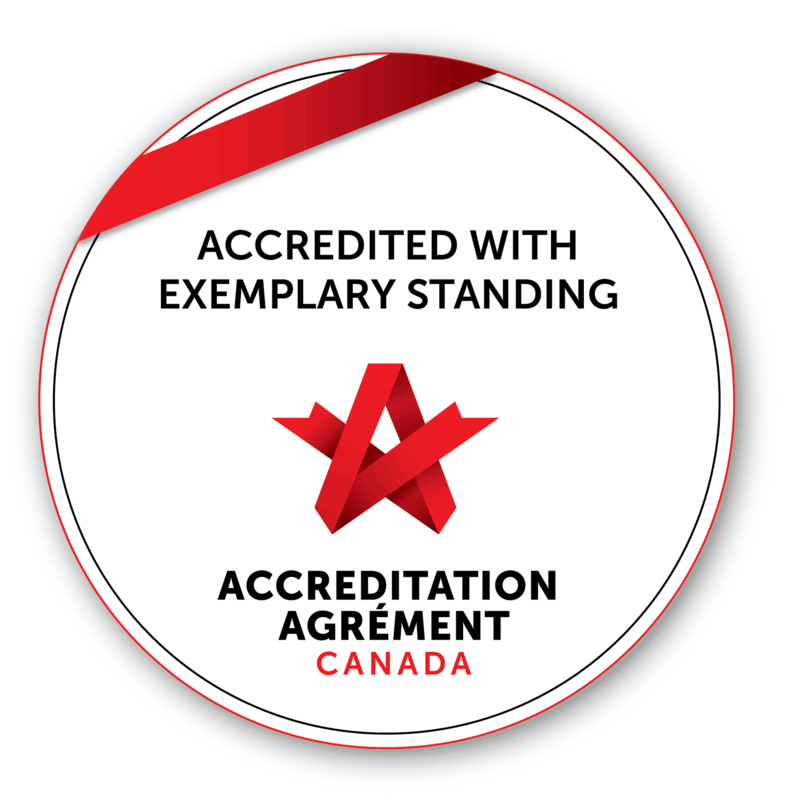 Today, more than 86 per cent of Providence Manor’s residents have some form of dementia or cognitive impairment. A new home for Providence Manor will provide residents with better space in a living environment designed to meet their needs that will be more efficient and sustainably designed. Recently, the provincial government announced support to increase the beds from the current 243 to 320 beds at the new Providence Manor home.